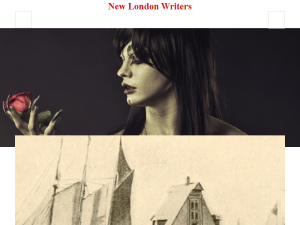 New London Writers is an online resource for the publishing industry. As publishers, we invite poetry, fiction, essays, book reviews, opinion, and commentary for our magazines. Our editing and critiquing services are priced competitively. Our editors will encourage you to radically uplift your work's potential and bring it to industry standard. Making use of our broad media industry network, we can then put you in touch with key people and/or help you to engage your audience. We also offer marketing and writing services for businesses. New London Writers is a limited company and works in association with Jeffrey Simmons literary agent, and Twelve Chairs Films. This what your New London Writers Blog Ad will look like to visitors! Of course you will want to use keywords and ad targeting to get the most out of your ad campaign! So purchase an ad space today before there all gone! If you are the owner of New London Writers, or someone who enjoys this blog why not upgrade it to a Featured Listing or Permanent Listing?